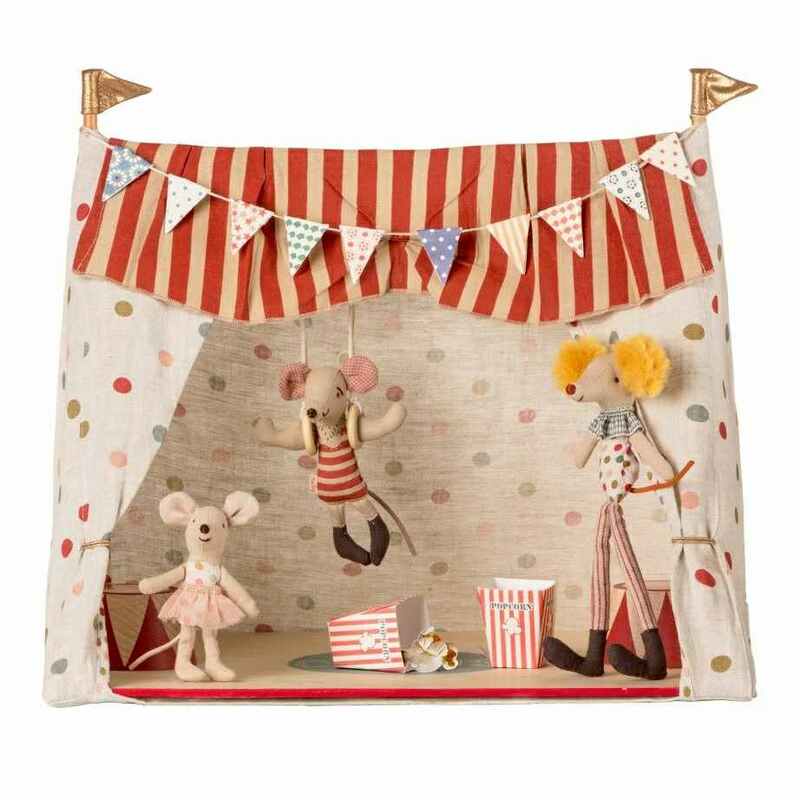 This is a wonderful circus themed play set by Maileg which your little ones are sure to love. It comprises of a colourful linen circus tent with a polka dot and stripey design which sits on a wooden rectangular base. There are two wooden podiums which also hold the wooden tent poles in place. 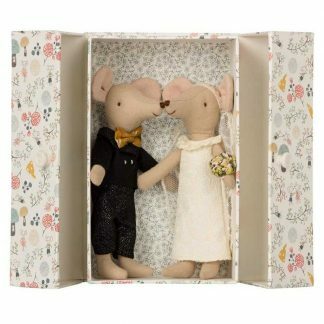 It also includes circus rings and a clown mouse, ballerina mouse and strongman mouse. You will also find a cardboard sheet to make cut out accessories including popcorn boxes, tickets and coins. 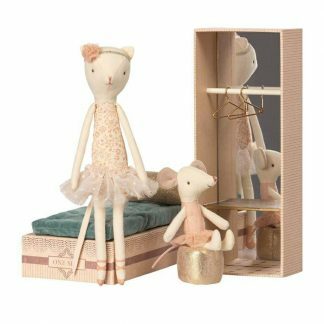 The quality and details in this lovely Maileg toy really will make it a unique and well loved gift. Suitable from 3 years. Approx 48 cm x 49 cm x 37 cm. Hand wash only.